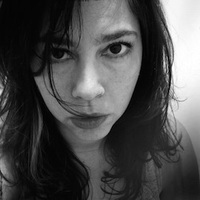 Robin Beth Schaer’s first book of poetry, Shipbreaking, received the Robert Dana–Anhinga Poetry Prize and was published in 2015. She was educated at Colgate University and Columbia University’s School of the Arts. She has received fellowships from Yaddo, MacDowell, Djerassi Resident Artists Program, Saltonstall Foundation, Vermont Studio Center, and Virginia Center for the Creative Arts. Her work has appeared in Tin House, Bomb Magazine, Paris Review, Denver Quarterly, Washington Square, and Guernica, among others. She has taught writing at Cooper Union, Columbia University, and The New School, and she worked as a deckhand aboard the Tall Ship Bounty, a 180-foot full-rigged ship lost in Hurricane Sandy. To ask Robin Beth Schaer questions, please sign up. Why do ships wreck? Is it the fault of the ship or the fault of the ocean? Or the captain? Are certain ships destined to wreck? What is your preferred beverage when writing? Coffee, tea, hot chocolate (or something stronger...)? New Poem: "The Long Now"
A new poem in the beautiful new LOVE issue of Territory. There are stars, planets, a child’s questions about infinity — & even Ohio makes its debut appearance. We’d love your help. Let us know what’s wrong with this preview of Ask Me About My Uterus by Abby Norman. We’d love your help. Let us know what’s wrong with this preview of The Mars Room by Rachel Kushner. “Only heaven is full of furniture.